So, I gotta be honest with you guys. I never read graphic novels as a kid. I was more into books about American history. I know, I’m a nerd. To each her own. Actually, I just got into graphic novels this past year. And let me tell you what, these novels definitely appeal to my girl power mindset. Bye-bye costumes that are impossible to fight in, hello smart and sassy female characters. Needless to say, after the first fantastically fierce panel, I was hooked. So here are my top picks, especially for you! Sit back, relax, and prepare for blast off! Ok, so maybe there are no superheroes in this one…but there are SISTERS! This adorable and funny graphic memoir captures the struggle of driving cross country with… DUN DUN DUN…little siblings. Being a big sister myself, I definitely related to Raina’s obsession with headphones. Ahhhh, blissful peace and quiet. But this memoir isn’t just about pesky sisters. It’s also about growing up, changing family dynamics, and the love between sisters—despite the constant bickering. Check out Raina’s website here! Watch the Sisters book trailer here! And don’t miss an interview with Raina here! 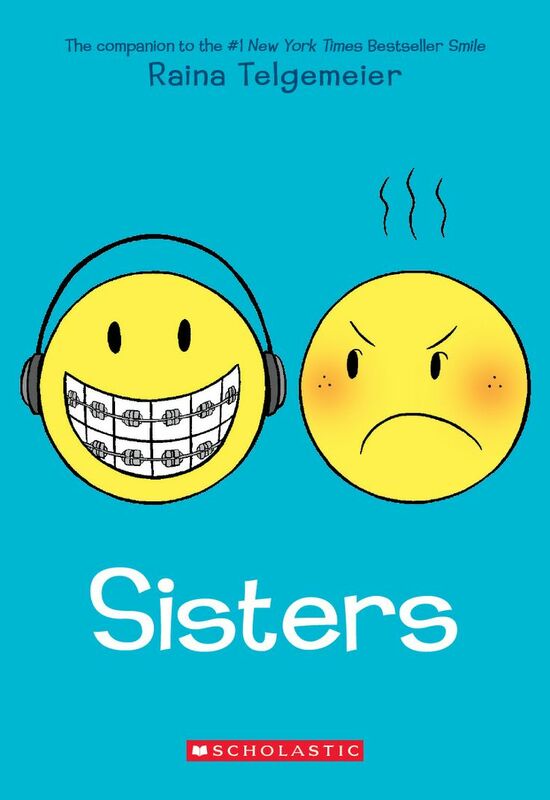 Be sure to check out Raina’s other graphic novels: Smile (the companion to Sisters) and Drama! 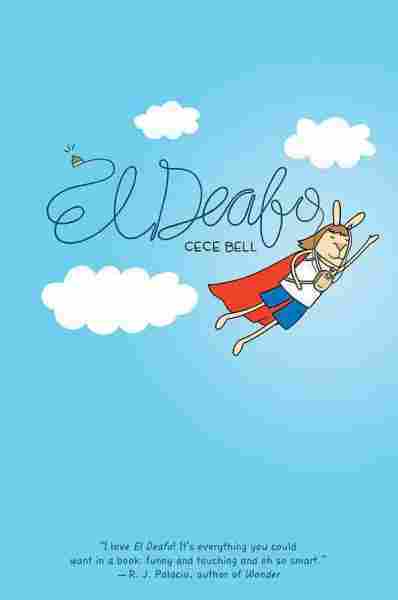 Another graphic memoir, written with the blunt, often humorous, perspective of a child, El Deafo is Cece Bell’s story of growing up with hearing aids. One hearing aid, lovingly called The Phonic Ear, turns Cece into a superhero with supersonic hearing! Let’s just say, I pity her teachers. But will the other kids think that she’s weird? And will she ever find a best friend? Find out in El Deafo! Check out Cece’s website here! Watch the El Deafo book trailer here! And here’s an interview with Cece! 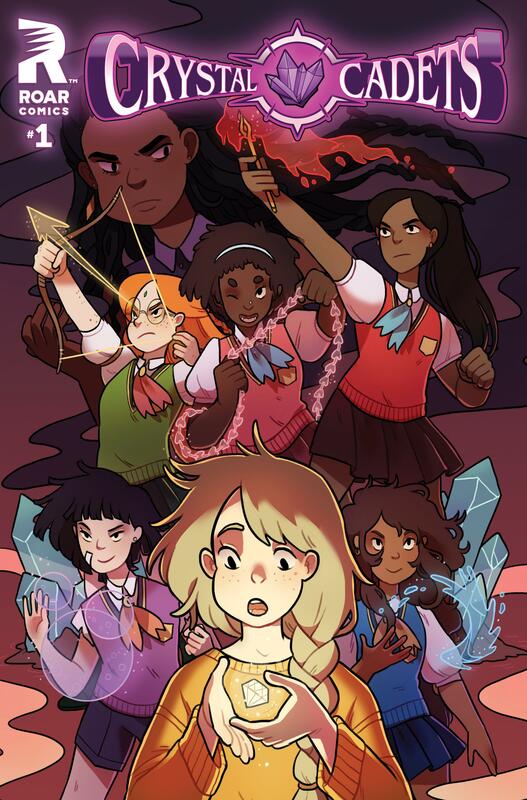 I only got my hands on the first issue of this graphic novel series, but, so far, Zoe, a rather shy middle-schooler, is attacked by a flying monster after meeting three strange (but kinda awesome) girls who save her from the resident soccer bullies. I can’t tell you anymore because, well, I don’t know anymore but I can’t WAIT to find out! Who wants to bet that Zoe is going to find out that she possesses super cool powers and that she has to save the world from evil?! No pressure or anything. Here’s a Crystal Cadets preview from Roar Comics! And check out this Crystal Cadets book trailer! Well guys, we have the great MARVEL to thank for this graphic novel. Lunella Lafayette (BEST. NAME. EVER.) loves all things science—except for science class, which is where we first meet our sassy and super smart heroine. 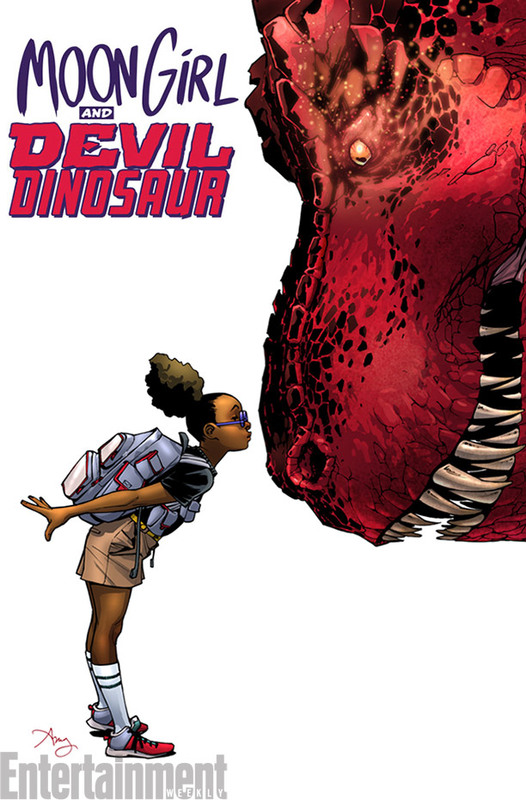 One day, she finds a glowing ball in a junk yard and the next thing she knows there’s a HUMONGOUS RED DEVIL DINOSAUR staring her down! Read Issue #2 to find out what happens next! Check out an interview with Amy and Brandon here! I CAN’T STOP RAVING ABOUT THIS GRAPHIC NOVEL!! Seriously, I read the first page and I immediately texted my Marvel-obsessed cousin, Rose, because I was so excited. All she said was, “duh, I’ve known about that for a while.” Ok, so maybe I’m a little slow on the uptake, but I just can’t get over how brilliant this novel is—Squirrel Girl a.k.a Doreen Green isn’t your run-of-the-mill ‘I’ll help you save the world, Batman, but I can’t mess up my hair’ superhero. Nuh-huh, no way. She is super chill, very funny, and is more than capable of saving the world by herself (more than once, no doubt), all while starting college! Geesh, it’s not like she wanted a social life or anything. Oh, and her sidekick, Tippy Toe the squirrel, is just as fierce. Don’t mess with her. Read an interview with Ryan here! 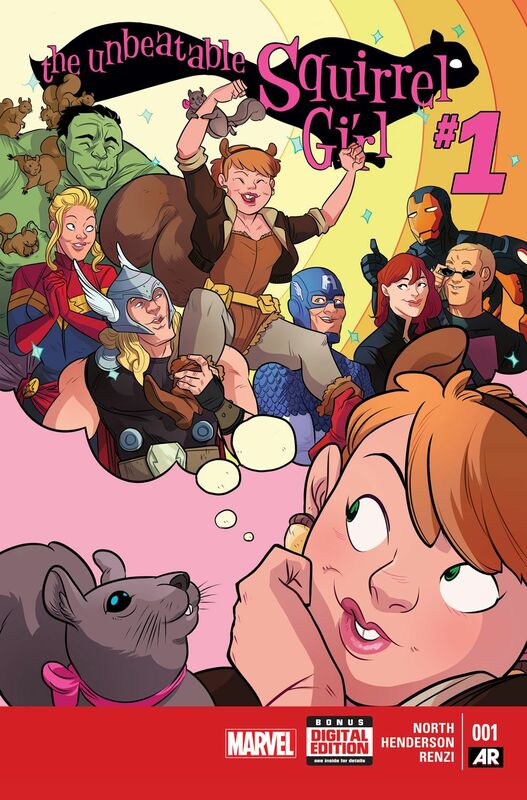 And check out The Unbeatable Squirrel Girl tumblr here! Do you have a favorite graphic novel or comic book? Let us know in the comments below! And if you want more superheroes, check out Best of 2015: The Year of the SHEro!